Cineworld would pay $23 a share in cash for Regal. 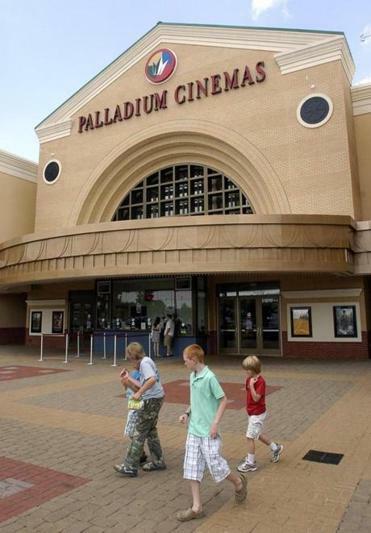 (Above) Regal’s Palladium Cinemas in High Point, N.C.
LONDON — The two largest movie theater chains in the United States will soon be owned by foreign companies. British movie theater owner Cineworld said Tuesday it had agreed to acquire Regal Entertainment Group, one of the biggest cinema operators in the United States, for $3.6 billion. The deal would greatly expand the scale and geographic footprint of Cineworld, which primarily operates in Europe, and create the world’s second-largest movie theater owner to better compete with AMC Entertainment, which is owned by Chinese conglomerate Dalian Wanda. The Cineworld-Regal combination would create a company with more than 9,500 screens in 10 countries. It comes at a time of flux for operators of movie theaters competing for attention and dollars in an increasingly saturated marketplace. At the same time, studios, such as The Walt Disney Co., are exerting more control over when and how their biggest films are shown, putting pressure on operators. And despite higher average ticket prices, box office revenue is down in the United States this year after a dismal summer. The few standouts were the superhero flicks, “Wonder Woman,” “Guardians of the Galaxy Vol. 2,” and “Spider-Man: Homecoming.” The latest adaptation of Stephen King’s “It” was also a bright spot this autumn, but “Justice League,” which brought together some of DC Comics’ biggest heroes, opened to disappointing results in North America last month. Ticket sales are likely to be bolstered by the release of “Star Wars: The Last Jedi” later this month. The announcement of the transaction came a week after the companies confirmed they were in advanced discussions to merge. Under the terms of the deal, Cineworld would pay $23 a share in cash for Regal. Shares of Regal closed Monday at $20.73 a share. Regal is the second-biggest cinema operator in the United States behind AMC, with 7,315 screens at 561 cinemas. Regal is controlled by billionaire Philip F. Anschutz’s Anschutz Corp., which has agreed to support the deal. Cineworld, which was founded in 1995 in Britain, is the second-largest movie theater chain in Europe, after AMC, with 2,227 screens at 232 sites in Europe and Israel. It reported revenue of 798 million pounds (about $1.1 billion) in its 2016 financial year. Regal’s theater brands include Regal Cinemas, United Artists, and Hollywood Theaters. It reported revenue of $3.2 billion in fiscal year 2016. The deal would be structured as a so-called reverse merger, requiring the approval of Cineworld’s shareholders. It is expected to be completed in the first quarter of next year. The transaction will be financed through a combination of debt and the sale of about 1.7 billion pounds in equity. The Greidinger family, Cineworld’s largest shareholder, has agreed to fully subscribe to the fund-raising.